"I have never met a person whose greatest need was anything other than real, unconditional love. 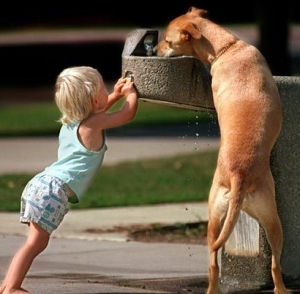 You can find it in a simple act of kindness toward someone who needs help. There is no mistaking love. You feel it in your heart. It is the common fiber of life, the flame that heals our soul, energizes our spirit and supplies passion to our lives. It is our connection to God and to each other." We've all seen the faces of those ravaged by the floods of Sri Lanka and New Orleans. 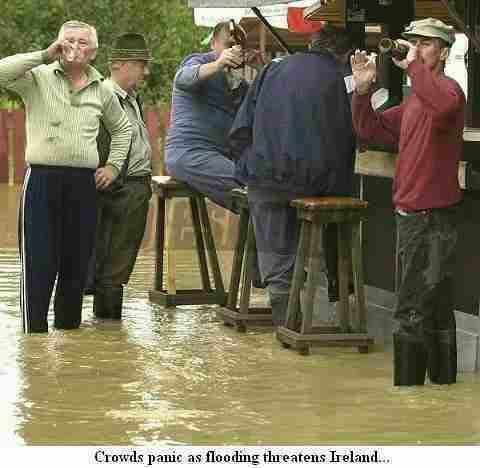 This award-winning photograph of the recent flood waters rising in Ireland captures the horror and suffering there. Just a joke, guys, and before you get your dander up... I'm Irish, too! We Were Right... Weight Watchers is the Best! In the self improvement section of our website, we touted the Weight Watcher's diet plan as the best plan all-around for losing weight... and keeping it off! We cited lots of research and our own personal trials using this program, and recommended it above all others. The latest issue of Consumer Reports magazine supports our opinion. In an article titled "Rating the Diets", they line up 8 of the most popular diet plans out there today: Volumetrics, WW, Jenny Craig, Slim-Fast, eDiets, Zone diet, and Atkins. Volumetrics and Weight Watchers were the two highest rated programs. And although Volumetrics did nudge out WW for quick short-term weight loss, their recipes were also judged somewhat time-consuming to prepare. WW meals were judged appetizing, nutritious, and fairly easy to prepare. WW also had a lower long-term dropout rate. We maintain that for today's busy adult, Weight Watchers still delivers the best overall weight reduction program, with high marks for low dropout rate, ease of use, and lifelong nutritional education value. This recent Consumer Report survey just adds more proof to our pudding!